Alright then. My name is Guido Merry and I am 31 years old. I am a teacher on a secondary school, where I teach 12-16 year olds the finer intricacies of the Dutch language. 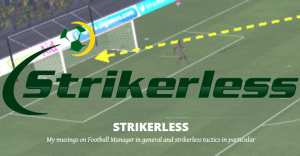 My pet project is www.strikerless.com, where I rave and rant about, as the name would suggest, strikerless formations, as well as strategies towards gameplay. After writing for several websites, both in English and in my native tongue, which is Dutch, I eventually got a bit fed up with deadlines and admins telling me my ideas were too far-fetched to ever lead to proper articles and hits for the website, I took a two year sabbatical, which coincided with the release of FM Live. That game was truly amazing, it had everything. Real name players, random squads, a vivid in-game economy and you played live against other human managers. I reckon I am quite the veteran when it comes to FM, as I started nearly 2 decades ago. I was quite young when I started playing. It started when I fished an old version of Championship Manager out of a bargain bin at the local toy-store. My younger brother and I were instantly hooked and a few weeks later, we actually bought the up-to-date version of Championship Manager for that season. I think we started out with CM2 and we’ve played every instalment since. It was just an exciting time for us, as Dutch football supporters. Louis van Gaal had his Ajax-side playing amazing football, PSV had a very young Ronaldo upfront and Feyenoord also impressed in Europe and here was this game, giving us the chance to emulate and perhaps even surpass the real-life achievements of these teams. It is nigh impossible to name a favorite save out of all those I have played over the course of many years. I generally aim for long term saves, either as a clubhopper or as someone who strives to build a dynasty. I also have a knack for the peculiar and odd places not everyone tends to venture. I guess if I had to chose, one of the games that combines all those aspects and could be regarded as one of my favourite saves was a save in India, it spanned over four decades in-game. I started with East Bengal, mostly because I wanted something new and had never played in India before. It turned out to be pretty fun, short and sweet seasons and pretty challenging due to a lack of resources. In 25 years time, I managed to turn East Bengal into one of the richest clubs in the world, renewing the entire youth setup and setting up an extensive scouting network in Africa. Then I got bored and took up a job as the national team’s manager alongside a club-job with the New Delhi Heroes, mostly because they had a cool name. I played on for another 15 years, actually reaching a World Cup final with India and challenging my own East Bengal dynasty with the New Delhi side. Then the next FM instalment came out and this save-game got scrapped. These kind of saves are the style of gaming I prefer. Long term saves, trying to build a dynasty with a small side. Every instalment of the game, I have at least one save-game that goes over two decades, whether it’s with a big club like PSG or smaller sides like Melbourne Victory or Fortuna Sittard. I don’t even care when the “real” players start to retire, because the players the game generates have become real to me. A newly generated player from my own setup, who goes on to become the next global superstar, that’s just as rewarding as signing Messi or Ronaldo. Probably the strategic angle. I know my blog has focussed largely on tactical matters, but I do enjoy the business side of the game as well. When to sell a player, how to achieve a maximum profit from a deal, how to set up an efficient and cheap conveyor belt of talent, the strategic approach to the game holds my interest as much as the tactical side. I have no choice but to opt for Creativity. It controls the width of the players mental repertoire. In order to make a certain decision, the player must know the choice even exists in the first place. This is where creativity comes in as it decides how many choices a player can choose between. A high attribute means more choices. If I want my players to interchange between positions, they need to have high footballing intelligence and this is probably the attribute that reflects such needs best. I have really enjoyed Alex Stewarts Moneyball-series, that’s right up my alley in terms of interest. I have also been intrigued with Rashidi’s works lately, some great in-depth tactical material. I’d say just have fun. Just do whatever you think will work, learn from what blows up in your face and cherish the moments where everything falls into place and you accomplish greatness. If you ever run out of ideas, there are plenty of sites or channels to offer advice and solutions, but in the meantime, just play the game you want to play it and have fun doing so. Don’t overcomplicate matters by thinking you should play in a specific way. Here’s the bonus question from Chris Darwen, who nominated you: If you were a real life manager, how would you go about training a side to play strikerless? The key words would be movement and cohesion. Good off-the-ball movement is an important element of any good formation. For a strikerless formation, good movement is more than just an important element, it’s an absolutely crucial element. Because you lack an advanced focal point for your passing, as in some sort of forward to hold up the ball, you have to rely on players movement into space to either receive the ball or create space for others. Cohesion really boils down to the concept of universality, combined with keeping the formation compact. Again, I am going to sound like a proper prick for referencing real life managers, but bear with me on this one. People like Michels, Cruyff, Lobanovskiy and Sacchi strived for universality, where every player on the pitch takes a collective responsebility for each aspect of the game. Not in the sense that the forward is now tracking back to help with the off-side trap, but more in the sense of the example of the anchor-man’s positioning to protect his defenders and at the same time offer a safe passing option, whilst other team-members move forward. I’d focus on those aspects, see if I can get the squad to gel within the concept. Then again, I am not a professional coach and it might just fail spectacularly in real life. You should really interview Rashidi. My question is: Which new feature would you like to see in FM16?. Also gut. Mein Name ist Guido Merry und ich bin 31 Jahre alt. Ich bin Lehrer an einer Sekundarschule, wo ich 12- bis 16-Jährige in den Feinheiten der niederländischen Sprache unterrichte. Mein Steckenpferd ist strikerless.com, wo ich mich – wie der Name richtig vermuten lässt – über stürmerlose Formationen auslasse; aber auch über Spielstrategien allgemein. Ich schreibe seit fast fünfzehn Jahren über den Football Manager. Anfangs nur, indem ich Namen von großartigen Spielern, die ich gescoutet hatte, in einem Notizbuch gesammelt habe. Dann habe ich diese Listen online mit Leuten geteilt. Ich mochte es, Ideen und Gedanken über ein Spiel, das man gerne spielt, mit anderen auszutauschen. Ich war eines der Kinder, die Aufstellungen und Scoutinglisten an den Rand seiner Schulhefte gekritzelt haben. Nach einer Weile kamen neben dem Scouting andere Themen hinzu. Anfangs war taktisch bei mir nichts los und ich habe mich auf das Verpflichten überlegener Spieler verlassen, um Spiele zu gewinnen – eine Strategie, die sich ausgezahlt hat. Ich hab mich dann mehr und mehr mit Taktik beschäftigt und meine Gedanken irgendwann auf Papier festgehalten. Wie sich herausgestellt hat, funktionierten ein paar meiner Ideen ziemlich gut im Spiel, sodass ich motiviert war mehr zu schreiben und meinen Stil weiterzuentwickeln. Nachdem ich für verschiedene Websites geschrieben hatte (sowohl auf Englisch als auch in meiner Muttersprache, Niederländisch) und mir Deadlines und Admins, die meine Ideen als abwegig und nicht erfolgsversprechend für die Website abtaten, auf den Keks gingen, habe ich eine zweijährige Pause eingelegt, die zufällig mit dem Erscheinen von FM Live zusammen fiel. Das Spiel war wirklich großartig, es hatte alles. Originale Spielernamen, zufällige Kader, ein lebendiges Ingame-Wirtschaftssystem und man spielte gegen andere menschliche Spieler. Während meiner FM Live-Karriere habe ich den FM kaum angefasst. Angefangen habe ich aber mit Bloggen. Ich habe mich einfach über verschiede Mängel, die ich im Spiel entdeckt habe, ausgelassen und Strategien geteilt, die sich für mich als erfolgreich erwiesen hatten. Nachdem FM Live geschlossen wurde, habe ich wieder versucht für andere Websiten zu schreiben, aber es hat nie gepasst. Ich genoss die Freiheit, die mir mein eigener Blog bot. Als der FM14 herauskam, entschied ich, dass ich noch genügend Ideen zu teilen hätte, also habe ich Strikerless gegründet – benannt nach dem Stil, den ich am meisten mag. Ich vermute, ich bin einer der Veteranen, wenn es um den FM geht, da ich vor fast zwei Jahrzehnten angefangen habe. Ich war ziemlich jung. Los ging es als ich eine alte Version des Championship Manager aus einer der Schnäppchen-Körbe im lokalen Spielwarenladen gefischt hatte. Mein jüngerer Bruder und ich waren sofort gefangen und einige Wochen später kauften wir sogar die damals aktuelle CM-Version. Ich glaube, wir haben mit CM2 angefangen und seitdem jede Version gespielt. Es war eine aufregende Zeit für uns als holländische Fußballfans. Louis van Gaal ließ sein Ajax erstaunlichen Fußball spielen, PSV hatte vorne einen sehr jungen Ronaldo und Feyenoord beeindruckte ebenfalls in Europa. Und hier war dieses Spiel, das uns die Chance bot, den echten Erfolge dieser Mannschaften nachzueifern oder sie sogar zu übertreffen. Es ist nahezu unmöglich einen Lieblingsspielstand zu nennen, bei den vielen die ich über die Jahre gespielt habe. Allgemein versuche ich langfristige Spielstände zu spielen, entweder als Clubhopper oder als jemand, der eine Dynastie errichtet. Außerdem habe ich eine Vorliebe für seltsame und ungewöhnliche Orte, an die sich nicht jeder vorwagt. Wenn ich mich jedoch entscheiden muss, denke ich läuft es auf einen Spielstand in Indien hinaus, der all die genannten Aspekte verbindet und über vier Jahrzehnte im Spiel gedauert hat. Ich habe bei East Bengal angefangen, vor allem weil ich etwas neues ausprobieren wollte und vorher noch nie in Indien gespielt hatte. Es stellte sich als sehr spaßig heraus, kurze und nette Saisons und ziemlich herausfordernd, aufgrund mangelnder Ressourcen. Innerhalb von 25 Jahren habe ich East Bengal zu einem der reichsten Vereine der Welt gemacht, mit komplett erneuerter Jugendabteilung und einem engmaschigen Scoutingnetzwerk in Afrika. Dann wurde mir langweilig und ich übernahm die Nationalmannschaft sowie den Trainerposten bei den New Delhi Horses – hauptsächlich wegen des coolen Namens. Ich spielte 15 Jahre weiter, in denen ich tatsächlich mit Indien ein WM-Finale erreichte und auf Klubebene meine eigene East Bengal-Dynastie mit New Delhi herausforderte. 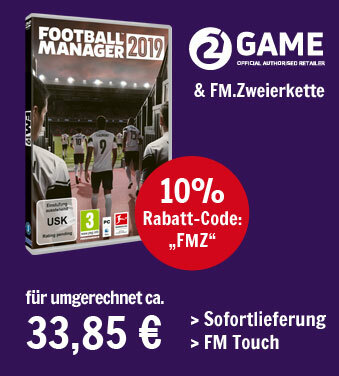 Dann kam der nächste Football Manager raus und der Spielstand war zu Ende. Diese Art von Spielständen bevorzuge ich. Langfristig angelegt, dazu der Versuch mit einem kleinen Verein eine Dynastie zu begründen. In jeder Version des FM habe ich mindestens einen Spielstand, der länger als zwei Jahrzehnte dauert – sei es mit einem großen Klub wie PSG oder kleineren wie Melbourne Victory oder Fortuna Sittard. Mich kümmert es auch nicht, wenn die „echten“ Spieler in Rente gehen, da die neu generierten für mich real geworden sind. Ein neu generierter Spieler aus der eigenen Jugend, der zum weltweiten Superstar wird, ist ebenso befriedigend wie Messi oder Ronaldo zu verpflichten. Vermutlich den strategischen Aspekt. Ich weiß, mein Blog beschäftigt sich hauptsächlich mit taktischen Belangen, aber ich mag die geschäftliche Seite des Spiels genauso. Wann verkaufe ich einen Spieler, wie schlage ich aus einem Deal am meisten Profit, wie sorge ich für einen effizienten und günstigen Strom an Talenten – die strategischen Fragen interessieren mich genauso wie die taktischen. Im Grunde will ich eine Seite aus dem Pozzo-Handbuch nehmen. Falls du die Geschichte nicht kennst: Giampaolo Pozzo übernahm 1986 seinen lokalen Verein Udinese, der seitdem eine unglaubliche Reise unternimmt, die sie von Wettskandalen und Zweitligafußball bis in die Champions League geführt hat. Giampaolo hat das nicht dadurch erreicht, dass er viel Geld für Spieler ausgegeben hätte – er investierte dagegen in Scouts, die einige der größten Talente auf der ganzen Welt fanden. Udinese holte sie ziemlich günstig und entwickelte sie zu großen Fußballern, die dem Verein zu wachsen halfen. Ich habe keine andere Wahl als für Kreativität zu stimmen. Es kontrolliert die Breite des mentalen Repertoires eines Spielers. Um eine bestimmte Entscheidung treffen zu können, muss der Spieler diese Option zuallererst vor allem kennen. Hier kommt Kreativität ins Spiel, indem es entscheidet, aus wie vielen Möglichkeiten ein Spieler wählen kann. Ein hoher Wert bedeutet mehr Optionen. Wenn ich möchte, dass meine Spieler die Positionen tauschen, dann benötigen sie dafür eine hohe Fußballintelligenz. Kreativität ist wahrscheinlich das Attribut, welches das am besten widerspiegelt. Ich habe Alex Stewarts Moneyball-Serie sehr genossen, das hat genau mein Interesse getroffen. In letzter Zeit war ich außerdem von Rashidis Arbeit sehr angetan, der einige tiefergehende taktische Sachen geschrieben hat. Ich würde sagen, hab einfach Spaß. Mach, was in deinen Augen funktionieren könnte, lerne aus dem, was dir davon um dir Ohren fliegt und lerne die Augenblicke wertzuschätzen, wenn ein Teil ins andere greift und du etwas Großes vollbracht hast. Wenn dir die Ideen mal ausgehen sollten, gibt es eine Menge Seiten und Kanäle, die Tipps und Lösungen anbieten – vor allem aber spiele das Spiel so wie du willst und hab Spaß dabei. Mach die Dinge nicht komplizierter als sie sind, indem du denkst auf eine bestimmte Art spielen zu müssen. Hier ist die Bonus-Frage von Chris, der dich nominiert hat: Wie würdest du eine Mannschaft darauf vorbereiten, ohne Stürmer zu spielen, wenn du ein echter Trainer wärst? Die Schlüsselbegriffe sind Bewegung und Geschlossenheit. Gute Bewegungen ohne Ball sind ein wichtiges Element jeder Formation. In einem System ohne Stürmer ist es mehr als das – hier ist es lebenswichtig. Ohne Stürmer fehlt die letzte Anspielstation und jemand, der den Ball vorne festmachen kann – also muss man sich auf die Bewegungen der Spieler in die Räume verlassen, wo sie entweder den Ball bekommen können oder neue Räume für andere öffnen. Geschlossenheit bezieht sich letztlich auf das Konzept der Universalität, zusammen mit einer kompakten Formation. Ich werde schon wieder wie ein nerviger Streber klingen, wenn ich mich auf echte Trainer beziehe, aber hab hierfür noch einmal Nachsicht: Leute wie Michels, Cruyff, Lobanovskiy und Sacchi strebten nach Universalität, wo jeder Spieler auf dem Feld in jeder Phase des Spiels kollektive Verantwortung übernimmt. Nicht in dem Sinne, dass der Stürmer nach hinten eilt und beim Stellen der Abseitsfalle hilft, sondern mehr im Sinne des Stellungsspiels eines Abräumers, der sich so positioniert, dass die Verteidigung geschützt ist, er aber gleichzeitig auch eine sichere Anspielstation für seine Mitspieler darstellt, die sich nach vorne bewegen. Auf diese Aspekte wurde ich mich konzentrieren und schauen, ob sich die Mannschaft mit diesem Konzept anfreunden kann. Allerdings bin ich kein professioneller Trainer und wahrscheinlich würde es im echten Leben spektakulär scheitern. Du solltest wirklich Rashidi interviewen. Meine Frage: Welches neue Feature würdest du gerne im Football Manager 2016 sehen?. Merry Guido bloggt auf Strikerless und twittert unter @MerryGuido. Der nächste Teil der Serie erscheint voraussichtlich am 5. August. Vision kann man scheinbar auch nicht individuell trainieren. Ebenso wie decission. Schade, wäre ein netter Versuch gewesen das gezielt für bestimmte Spieler zu pushen. Dann kommen wohl nur die entsprechenden Spielerrollen-Trainings in Frage. Kreativität ist im englischen dann flair? Für welche Positionen ist das wichtig? Nur die Spielmacher oder mehr? Macht es Sinn das individuell zu trainieren? danke für deine Nachfrage – habe es falsch übersetzt, statt Kreativität muss es Übersicht heißen im Deutschen. Im Englischen ist es Creativity (FM14) bzw. Vision (FM15). Das ist zwar (wie Flair) besonders wichtig für Spielmacher, tut aber auch dem Rest des Kaders gut. Bei Flair bin ich mir im Übrigen nicht sicher, ob man das individuell trainieren kann.